When I think of Italy, I think of its rich culture: the art, the architecture, the ancient history -- and, of course, the food. What Americans know as Italian cuisine, though, is really Italian-American at best. Although they may have invented pizza, I doubt most Italians would recognize the Domino's MeatZZa Feast pizza -- "slice after slice of pepperoni, ham, savory Italian sausage and beef topped with an extra layer of cheese," according to the Domino's website. 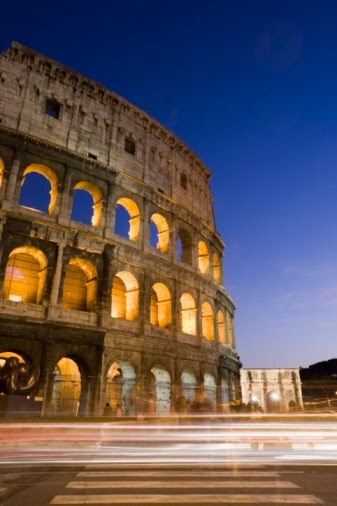 Jennifer Larue Huget of the Washington Post just returned from a 10-day trip to Italy, and like many Americans who travel there, she was struck by how differently the Italians eat. We've blogged more than once about the health benefits of the "Mediterranean Diet" -- lean meats, fresh vegetables, and healthy fats. I think we could all benefit from incorporating some of the Italian traditions into our own lives. Hurried meals invite unhealthy food, so slow down! Plan your meals ahead, and enjoy the difference it makes when you cook with fresh ingredients. If your employees are interested in learning more about healthy eating, why not schedule a healthy cooking demonstration or an educational seminar on the topic? They're always fun and informative.